SAT NAV, BLUETOOTH, FULL HEATED LEATHER, STUNNING CAR!! 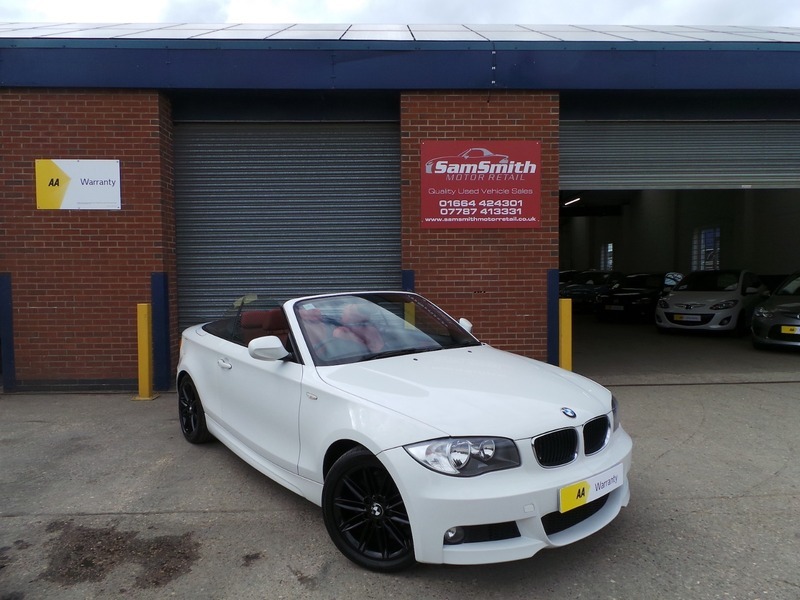 Just into stock is this stunning BMW 1 Series Convertible. Highly desirable M Sport model that looks stunning in Alpine White with the red seats. Freshly refurbished Gloss black alloy wheels really set this car off from the rest! Drives without fault, this car comes with a fantastic service record and a MOT with no advisories until Febuary 2020. Make the most of the summer with this stunning car!! Finance packages tailored to your needs, just ask one of our team to give you a quote. We offer hire purchase (HP) and PCP deals both at competitive rates. , Let us quote you for finance and value your part exchange not Autotrader or Zuto. We deal directly with the lenders to enable us to offer you the customer the most competitive rates of finance regardless of how much you borrow! All of our cars go through a very thorough workshop inspection, get freshly serviced if needed and come with a 3 month fully comprehensive (parts and labour) warranty and AA cover. Every car we sell is HPI clear with certificates to prove. LOW RATE FINANCE DEALS AVAILABLE. Open 5 days a week and weekends by appointment. Please call for availability & viewings.